What Is A Bathtub Liner? At CBS, We Specialize In More Than Just Bathrooms! Did you know that Creative Bath Systems specializes in more than just bathrooms? Yes, you read that right! For anyone who doesn't already know, Creative Bath Systems specializes in a broad range of things including bathroom remodeling, bathroom modifications, home improvement and home modifications. If you're looking to have some home improvements made, or if you need some repairs made, owners Bob and Jim, along with their father would be more than happy to take on the job! At Creative Bath Systems, you can rest assured knowing that we can install, repair and build numerous things including custom designed and constructed outdoor wheelchair ramps, Acorn Stairlifts, full kitchen remodels, and much more! If you're interested in learning more about ALL of our other products or services, give us a call today! The Creative Bath Systems team realizes that many people struggle to get over the high side walls of their bathtub but at Creative Bath Systems, we don't feel that you should have to suffer anymore, which is why we can eliminate the struggle altogether by installing our Walk-Thru bathtub insert. 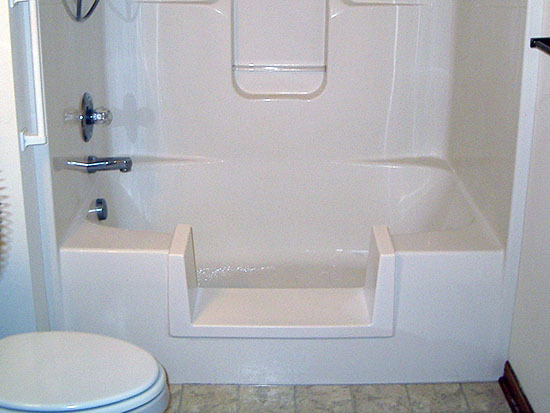 The Creative Bath Systems Walk-Thru Bathtub insert is a unique product that allows for its user to access their bathtub in a safe and secure manner by eliminating a portion of the tubs high side wall. With the help from our Walk-Thru insert, we can contribute to reducing the possibility of falling while getting in and out of the bathtub. 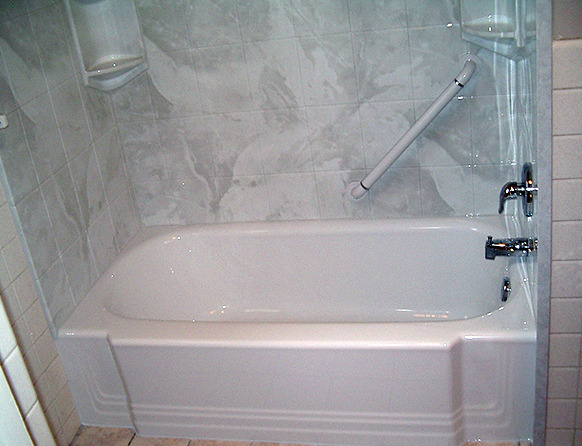 Our Walk-Thru unique bathtub insert can be installed using your existing tub whether it's made of fiberglass, steel or even cast iron. You'll also be pleased to know that one of our trained technicians can install your new bathtub insert in as little as one day! 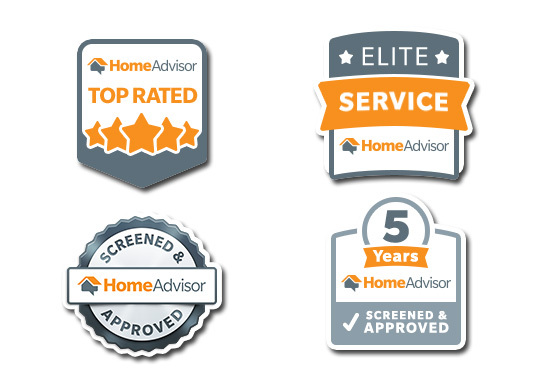 Creative Bath Systems Is HomeAdvisor Top Rated! We get this question a lot, what is Creative Access? Creative Access is the division of Creative Bath Systems that handles all of our special needs home modifications products and services. What does Creative Access do? 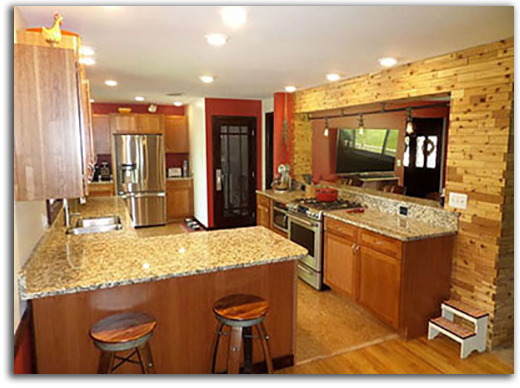 Creative Access gives our customers the option to choose from various home modification products and services. 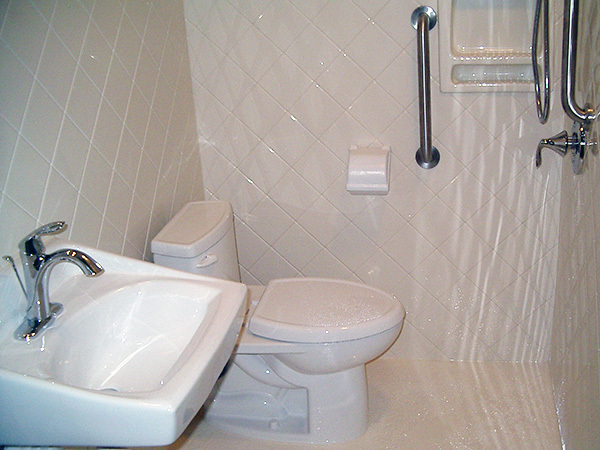 Each of these different home modification's have a unique function which provides individuals with easier access in and around the bathroom and in and around any other area of their home that may need it. An example of one of our bathroom modification service/product is our Walk-Thru Bathtub, which eliminates a portion of the high-side wall rendering it easier to get in and out. An example of one of our home modification service/product is our Outdoor Wheelchair Ramps, which makes it easier to get in and out of a home or business while in a wheelchair.